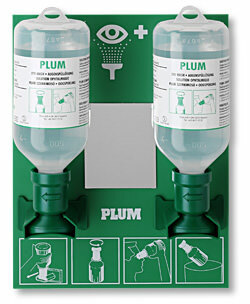 A converient eye wash station that can be easily installed close the workplace. The station is equiped with a mirrow and clear instructions to ensure rapid, correct rinsing in the event of an accident. Not suitable for very dusty and dirty workplaces.